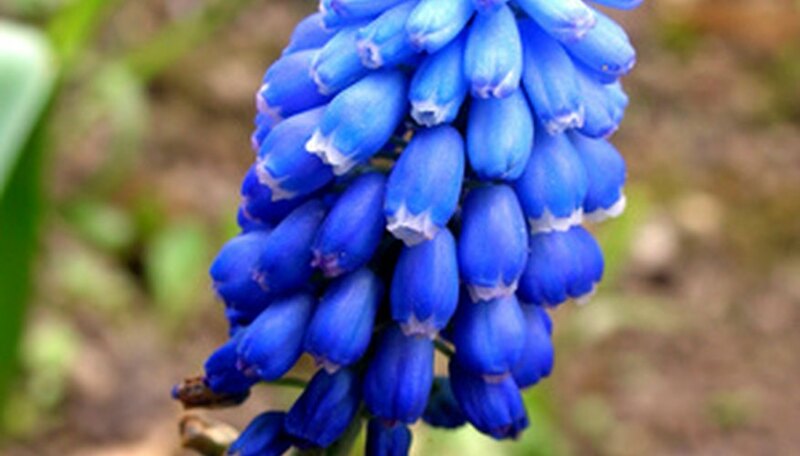 Bluebonnets (Lupinus), the Texas state flower, thrive in sunny, alkaline soils. Each seed pod contains small, hard seeds that can take more than a year to germinate if not properly treated first. While establishing your own bluebonnet bed takes time, once established, your bluebonnets will self-seed and come back year after year. Plant your bluebonnet seeds in early October for a spring bloom. Open your bluebonnet seed pods and place the seeds in a bowl. Freeze the seeds overnight. Remove the seeds from the freezer and immediately cover them with boiling water. The quick temperature change will scarify the hard outer shell, increasing the rate of germination. Let the seeds soak for several hours. Drain the seeds and sprinkle them with Rhizobium powder. The bacterium helps supply the plants with nitrogen and improves flowering and plant growth. Some nurseries carry Rhizobium or pre-inoculated seeds. Choose a sunny location in your garden for your bluebonnet bed. Till the soil 5 to 6 inches deep. Disperse the treated seeds by hand to a rate of 8 to 10 seeds per square foot. Walk over the seed bed to push the seeds into the soil. Water the soil until it is as moist as a wrung-out sponge. Water again every 3 days during dry periods throughout the winter and early spring. The seeds should germinate within 2 weeks and develop a deep root system over the winter. Mow your bluebonnet patch to a height of 4 to 6 inches after the seed pods have matured. Look for the seed pods to turn yellow and begin to dry out. Mowing helps your plants self-seed for the following spring. If you are not concerned with quick germination, disperse un-scarified seeds in your seedbed. While they may not germinate and flower the first year, the resulting plants may be healthier than those from scarified seeds. Fertilization causes bluebonnets to develop more leaves and fewer flowers.